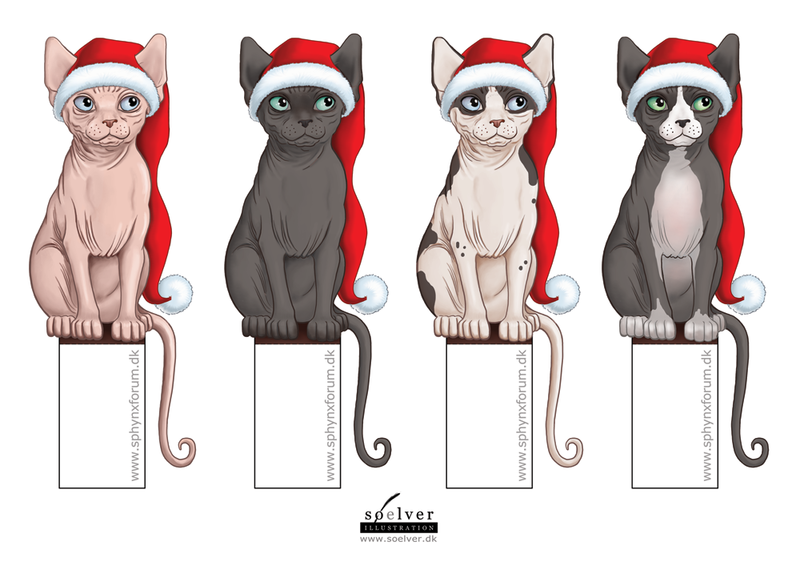 These are made for a danish forum for sphynx cats. The idea originates from an old danish tradition for christmas, called “kravlenisser”. There’s no term in english for this, the closest would be “climbing gnomes/pixies”, but that’s not quite right. The concept is small paper “nisser” (pixies/gnomes) that you either print our yourself, or you buy a sheet in a store. Then you cut them out, and fold in the tap, so they can be placed on a shelf, picture or other stuff in your home, that might be suited for a little festive decoration. Since this is a danish forum, it was an obvious opportunity to make a sphynx variant of this traditional danish christmas decoration.